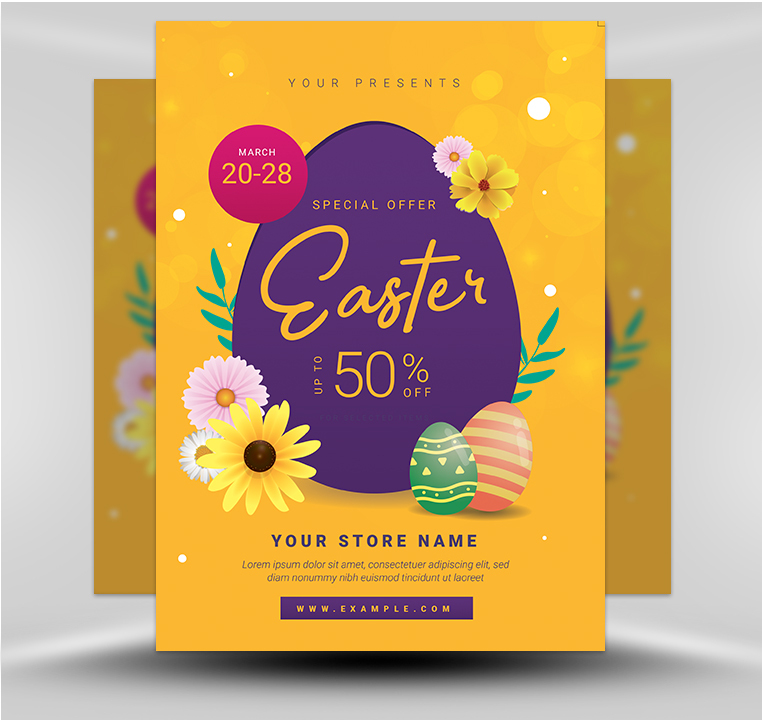 Promote your next big Easter sale with this colorful Easter flyer! 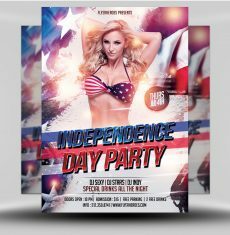 This flyer features a complimentary color scheme, with orange and purple used for a high-contrast design. Additional colorful flowers and eggs are used to accent the largest purple egg. 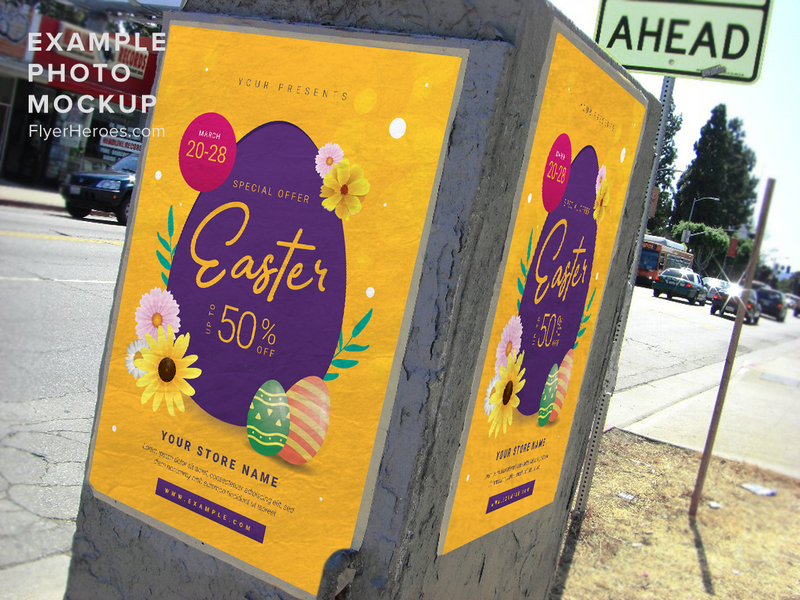 The event title is featured in the middle of the egg, using flowing, scripted font in the center. 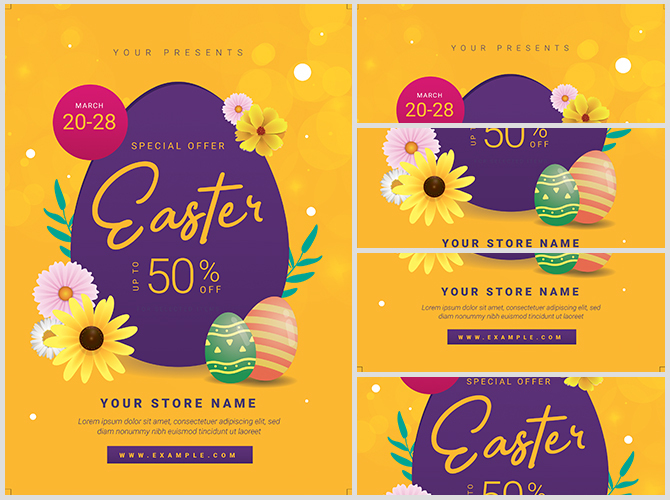 Sale information appears below the event title, with enough room for you to customize your messaging according to your event. 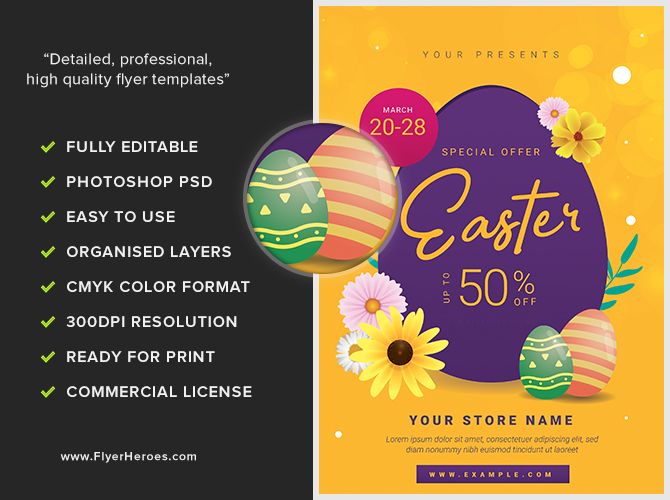 You can use this unique Easter flyer to promote sales, special offers, or other Easter events!